Microsoft released its highly anticipated Windows 10 Anniversary Update on August 2. Over a month and many of us still haven’t received the update. If you too haven’t, don’t worry. It’s definitely not a bug. The company says the rollout may take until November to reach to everyone. The Anniversary Update will download and install via Windows Update. The download is automatically available to you. It will begin rolling out on 2 August 2016 and may take up to 3 months to reach all users. Internet access fees may apply. How the tables have turned! From users begging Microsoft to stop annoying them with incessant upgrade notifications to repeatedly asking for the Anniversary Update. Well, to be fair with users, those who were enthusiastic about the latest Windows 10 also want to try the new features and improvements that the Windows 10 Anniversary Update has promised to deliver. It wouldn’t be too bad to wait for a couple of months. The delay might work in your favor as the OS gets more stable. We saw a number of reports of compatibility issues among other problems. Windows 10 Anniversary Update affected webcams, Kindle hardware, and anti-virus programs. With this incremental, yet an extremely slow roll out process, Microsoft will have more time to test software, hardware and drivers. Those not working will be fixed before the update is distributed to more people. While this slow rollout will help the end users of the last wave in avoiding compatibility or performance issues, it does raise questions about Microsoft’s testing mechanisms. Microsoft uses a strong Windows Insider program that uses willing public for testing purposes. But even after that, the company has to rely on consumers that were sent out the first wave of Windows 10 Anniversary Update. Microsoft is using real-world testing data from this early segment to iron out the remaining issues. While the last group may receive a more stable version of the latest Update, why should the public unwittingly serve as testers for the software giant? 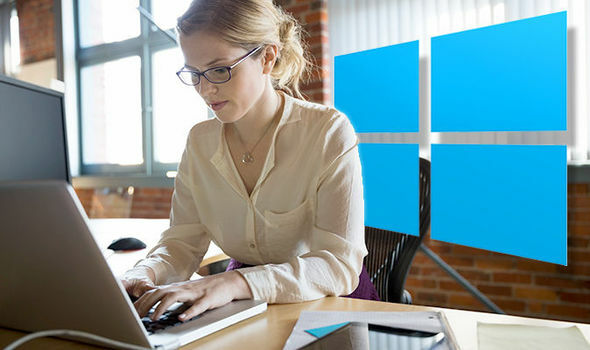 After over a year of Windows 10 launch, many are worried about how Microsoft handles testing. The company needs to strengthen its own internal testing department to avoid these issues in the software before it’s distributed to the public. If you are excited to try the new features that Windows 10 Anniversary offers, you can force install the Windows 10 Anniversary Update. Download the ISO files (version 1607) and there you go.